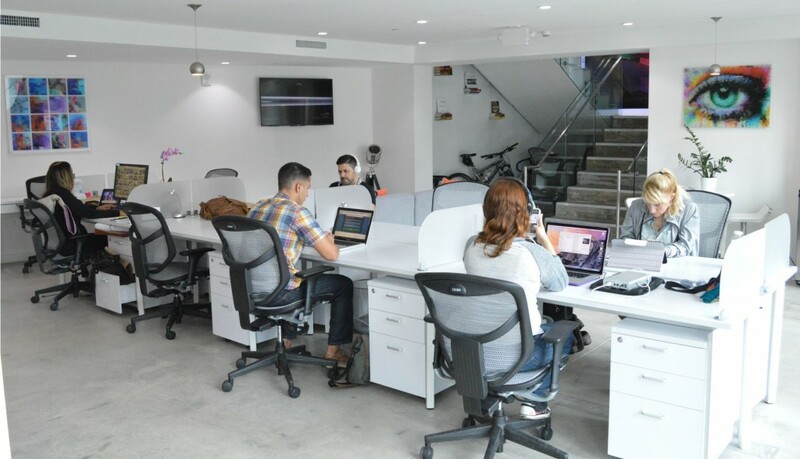 CityDesk Miami is a local trendy coworking and office suites space. The design had to take into consideration a wide demographic target audience, as their different products and services cater to different target personas. Being a local business in Miami a large portion of their visitors spoke Spanish only, the website was then professionally translated from English and is now served in both languages according to the user’s browser language, the user can also switch languages on any page and get redirected to the same translated page. An interactive appointment booking solution was implemented to allow visitors to schedule a tour to visit the space on the specific provided dates, text and email notifications are sent to the managers whenever a user books a tour or uses a contact form. 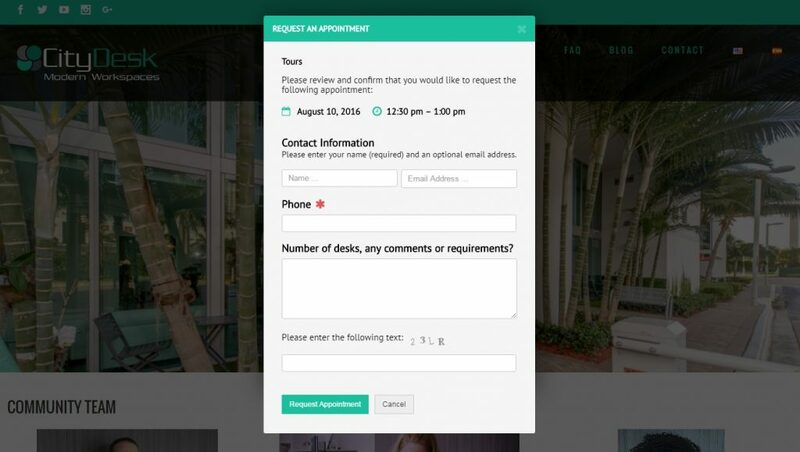 Submitted information is automatically saved in a third-party CRM solution. 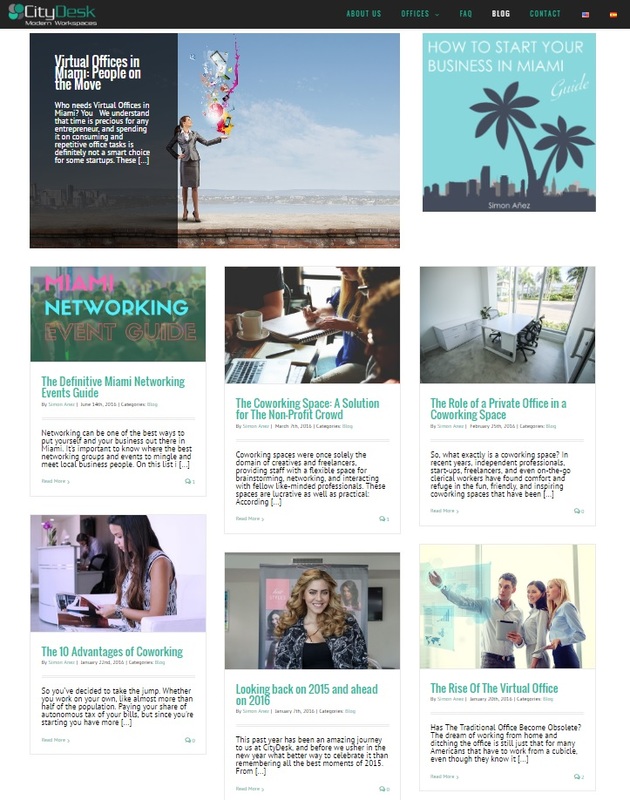 Highly relevant content for the target audience was created for blog posts, creating highly engaging posts and ultimate guides for doing business in Miami. An aggressive social media campaign was deployed to achieve over 4300 local Instagram followers with a combination of good quality content and influencer strategy. Highly targeted PPC (Pay-per-click) ads were created on Google Adwords, Bing Ads, Instagram and Facebook ads, for each specific product to their ideal target persona. Periodically adjusting bids, targeting, removing negative keywords or placements and monitoring all results on a consistent basis to reach the expected return on investment. Site speed optimization was highly important to achieve first page rankings on Google for our top desired keywords, also building a lean 100% responsive site for mobile users.